They may not all be the product of British-owned companies, but all of the following are the result of our highly skilled workforce and a huge investment into our automotive industry. The five door hatchback is a British favourite and is one of our specialities, and each time you buy one of these very different examples of it you are keeping British workers in jobs and building our economy. All are available within a £20,000 budget. Your best cars from Britain at or below £20,000. Despite Vauxhall's efforts, this is the car currently exhibiting the potential to threaten Ford's position at the top of the best seller lists. It is the second best-selling car in the UK so far this year. Nissan's multi-talented SUV has almost single handedly created a seemingly endless demand within the sector. It wouldn't be overstating the case to say that the Qashqai changed the automotive landscape in the UK and elsewhere. This is now the sector that all the manufacturers are chasing. The car itself is conservatively good looking, spacious, smooth riding, comfortable and economical. Nissan's premium sub-brand has built the Q30 on a Mercedes-Benz chassis, which should be a reassuring guarantee of quality. The Q30 shares the Qashqai's engines and is competent enough but maybe not quite up to the standard of the market leader. However that depends upon your priorities for ownership. It's a determinedly premium class vehicle, built to help Infiniti take on the big German brands with a similarly solid build quality. Vauxhall has thrown significant resource at the latest generation Astra and the result is a practical family hatchback with premium ambitions. It's certainly a lot of car for the money and Vauxhall hopes that it will be an important weapon in its attempt to overtake Ford as the UK's favourite manufacturer. It drives well and offers great value for money. For the price there's a lot of modern technology included and strong, flexible driving dynamics. It's good, but possibly not quite as good as its main rival the Ford Focus. This petrol electric hybrid has a very distinctive exterior and a more conservative interior. The Auris is competent mechanically, with Toyota's usual excellent build quality and a practical and sensible cabin. In electric mode it's a very economical drive but has quite a lot to give if you choose to push the petrol engine. The Civic may look like a pretty ordinary hatchback but Honda has been very clever here. It boasts a nice finish but there are some unusual elements to the experience, as Honda has shuffled around the usual layout to free up a bit of space. The result is a slightly elevated ride height for a standard hatchback; a space age instrument display; and a very large boot. The 1.6 litre diesel engine offers a nicely balanced power delivery and a supple ride on UK roads, with pleasantly responsive controls. 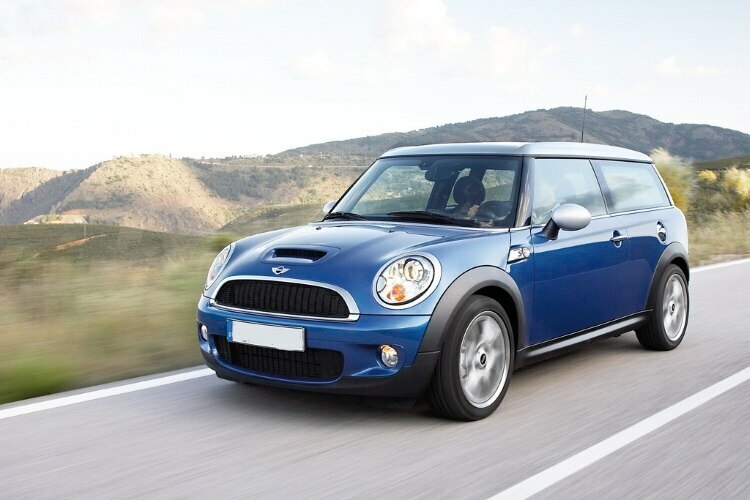 Its looks are divisive but the Mini offers an engaging driving experience. Redesigning the standard Mini in grown-up, five door family car format has meant some compromises in ride quality and it's still not as practical as the traditional family estate or modern crossover. But the Clubman does display a lot of the charm that has carried the Mini so far in life, and it's hard to argue with the brand's badge appeal.